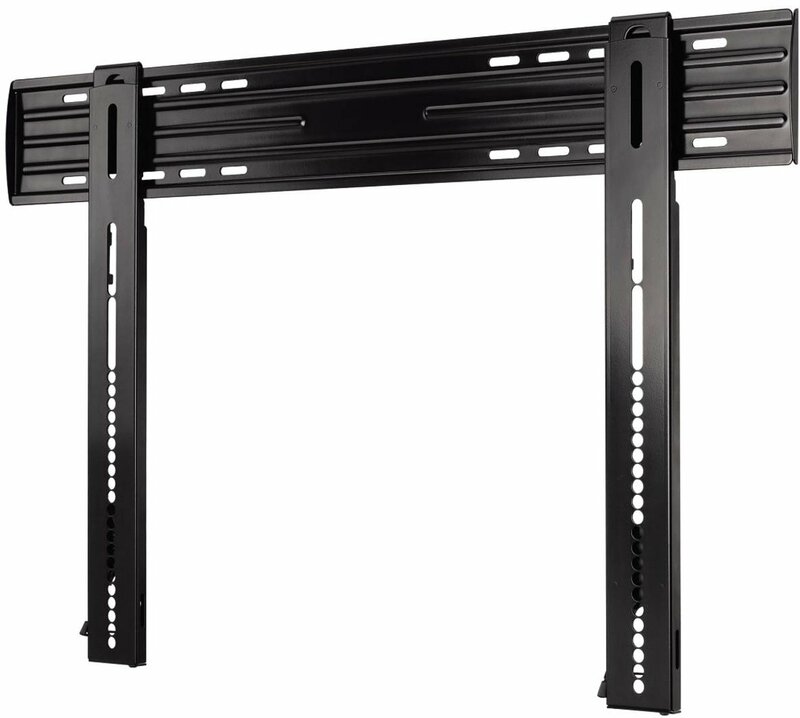 The SANUS LL11 HDPro™ Super Slim mount takes low profile to a new level. Its innovative design emphasizes the sleek look of ultra-thin LCD, plasma and LED TVs by placing them just .55" / 1.4 cm from the wall. Unlike other fixed-position mounts on the market, the LL11 offers additional exclusive features that make it incredibly easy to install and use. 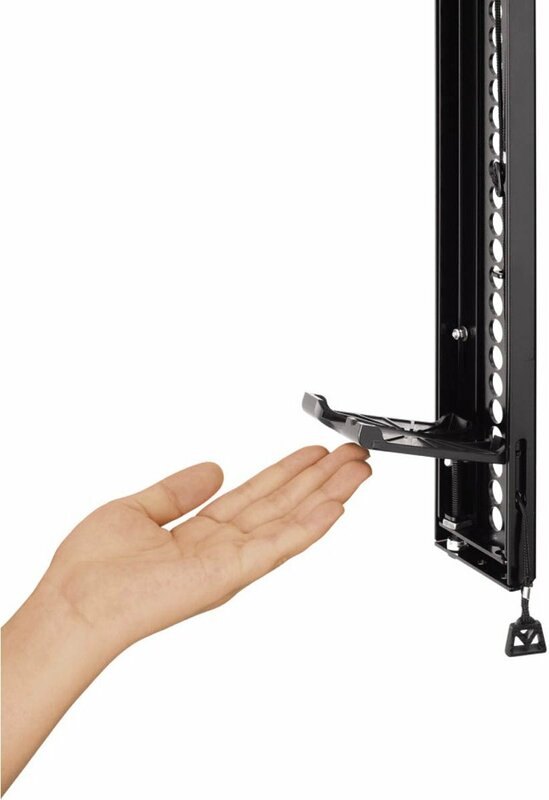 ClickStand™ technology holds the bottom of the TV away from the wall for easy cable access without removing the TV from the mount. Convenient quick-release tabs on both mounting brackets stay hidden, but easily pull down to unlock the TV from the wall plate for cable access. The ProSet™ feature allows post-installation height and leveling micro-adjustments for perfect positioning after hanging. Lateral shift allows the TV to move left and right on the wall plate so it’s placed exactly where you want it, even with off-center studs. Wall plate mounting holes are designed to accommodate 16" or 24" studs. Mount now fits TVs 51” – 80”, and all current LL11 models have been tested for compatibility with the updated size range.